It's been a funny old year, one that has involved speech therapy, development concerns from outside elements and then watching as Leo came along in leaps and bounds, entirely in his own time. 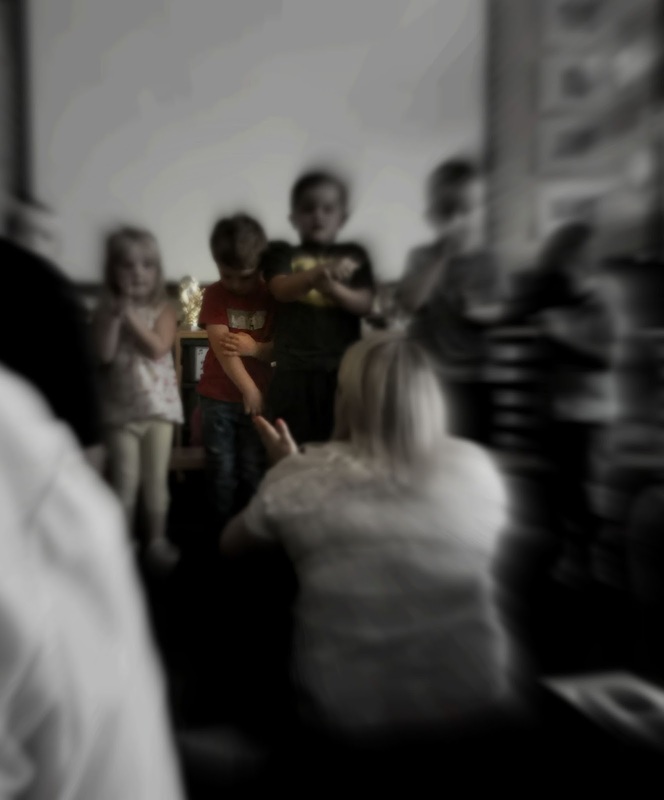 At the end of July Leo finished his time at nursery, a coming of age moment. A day that was both sad and exciting, a day full of smiles and memories that we will always treasure. We had been invited along to the school that Leo will be attending in a matter of weeks, an assembly had been put together by the nursery as it is set within the school premises. I love that the school and nursery is attached, it has helped make this massive transition so much easier, and Leo doesn't seem to have any concerns over the next chapter of his life. 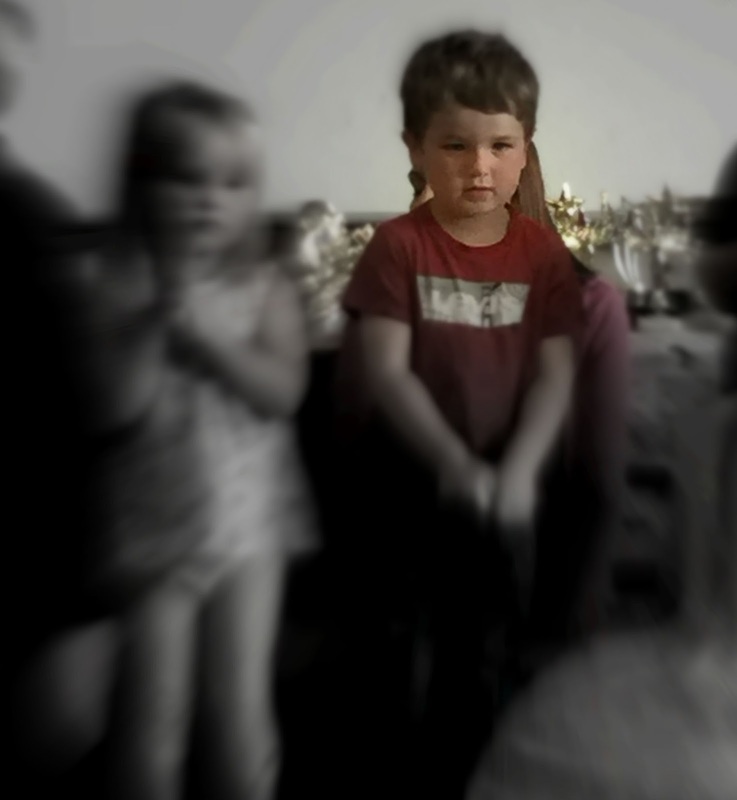 We weren't certain we were going to be able to attend the assembly as Leo had been poorly just after arriving at nursery the day before, and of course there is a 48 hour period after a child has last been sick before they can return to the school environment. To say I was disappointed was a massive understatement to say the least. I wanted Leo to experience this, because in the years to come he is going to look back on the photos and the memories of that day, he will see how much the children have grown, how he has changed and evolved. I wanted him to have that because I don't. I moved around as a child, so the children I attended nursery with, the children I first went to school with, they are all strangers to me. High School however is a different story, and over 10 years since leaving, I am still friendly and still see many of them. I was always a little envious of the children who knew each other from those very early days, and when a Facebook photo appeared in my timeline I would always look for me, only to discover that it was before we moved here. I wanted Leo to be one of the children who was in those memories. Nursery cleared us to come in for the half hour assembly as Leo wasn't under the weather and hadn't been sick again. I was over the moon, I was going to get to see everything that Leo had done and put together. They sang songs and danced about, Leo looked a little un-sure but he joined in. A far cry from the child he once was where he refused to do anything like that (just like his Mummy!). It was so amazing to watch him, this little person who was now stepping outside his comfort zone. Outside that box he had once been so firmly placed in and joining in. I sat there beaming from ear to ear the entire time, and that smile only got bigger when he was asked to stand up and announce to the entire audience of parents what he wanted to be when he was older. He took the picture he had painted, that was actually really well put together. That along with him announcing 'I want to be a race car driver' Just made my beaming smile grow ten fold. The nursery leaders awarded all the children with their own individual awards, and it made me really appreciative to just how well these amazing ladies actually knew all of the children within their care. There were awards for who was most likely to be famous, most likely to be a singer, most happy all of the time... And I already knew what Leo's was going to be before they even called his name out. 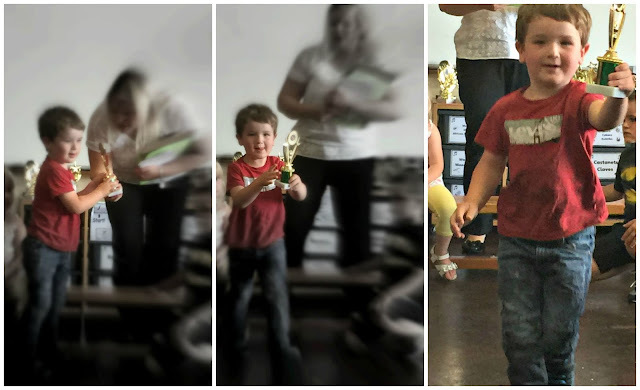 Leo was awarded the train award, for being the little boy who is ALWAYS found to be playing with trains. I had to giggle at the fact they had actually ran with this, when once upon a time they were concerned about Leo's love (or obsession) with the objects... But a long with everyone else they have seen that Leo is just a little boy who likes to accomplish things at his own pace, and in his own time. Leo is just a little boy with a big love for trains, and there is absolutely nothing wrong with that. The nursery wrapped up the very special assembly and invited parents to try the food served in the school hall that the children had the option to have from September. Boy have school meals come on a lot since my day, and I think it's going to be a great way of broadening Leo's taste palette. We collected Leo's school bag with a number of goodies inside, and that was the start of the summer holiday's. 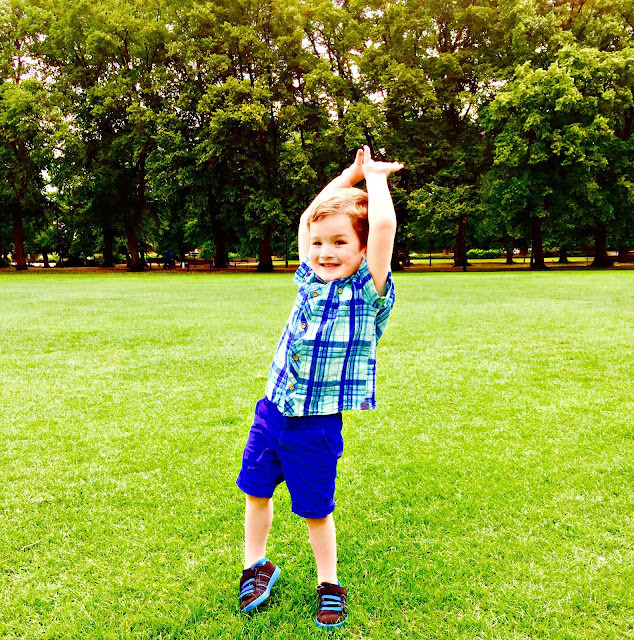 I cannot believe that in a matter of a few weeks, my little boy will be starting school.